Panna National Park spans across the Panna and Chhatarpur districts of Madhya Pradesh (also check: top national parks in Madhya Pradesh), covering an area of 543 sq km. It lies near to the ancient temple of Khajuraho, thus presenting a unique blend of cultural eminence and rustic wilderness. You get the best of both worlds! Panna National Park has many more feathers in the hat: it was declared a tiger reserve under the “Project Tiger” scheme, it is known for pioneering ways to increase tiger population from nil and has recently won the Award Of Excellence For The Best Maintained Tourist Friendly National Park Of The Country by the Ministry of India. 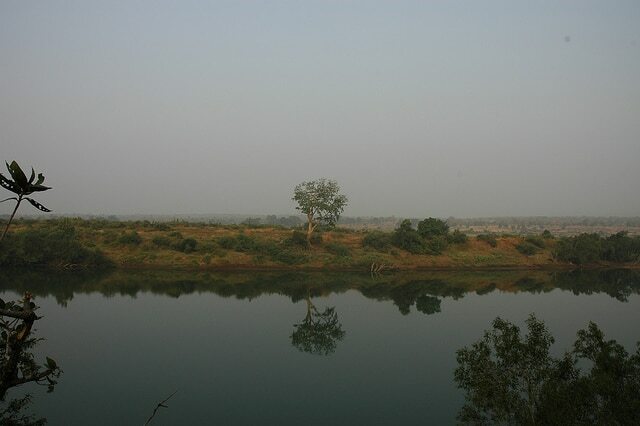 One of the least polluted rivers, the Ken River flows through Panna. This certainly isn’t a place to miss! Usually tropical climate prevails in Panna with summers being hot and dry. The winter season is a pleasant cold with average temperature staying around 25˚C. The rainy season seems to offer some solace from the hot summers from July until September. It is during the summer season that you could view most of the diversity in Panna. The best time to visit is from January to May. The Panna National Park had lost all of its tiger population due to poaching activities. However, the determined staff at Panna left no stone unturned in finding out ways to deal with this problem. Panna’s name is etched in history for the most successful Tiger Reintroduction Programme. Panna national park now boasts of the tiger population and provides a secure shelter to the wild cat. Among other animals, you can find the wild dog, carcal, hyaena, leopard, wolf and several other small cats roaming around in the woods. Sloth bear, Sambar, Chittal, Chowsingha, Nilgai and Chinkara can also be seen in the park. 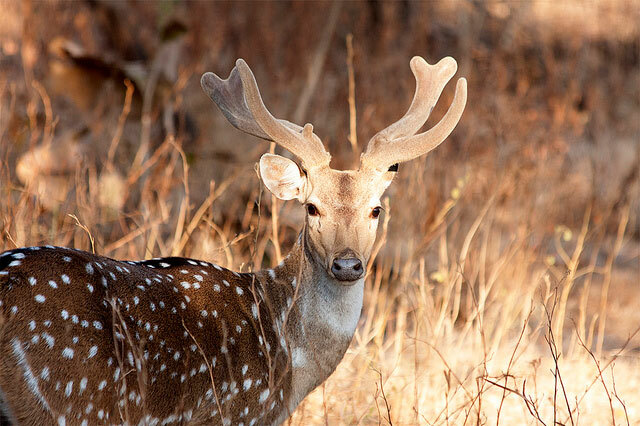 Nilgai and Chinkara are often found grazing in the periphery while Sambar, Chittal and Chowsingha are seen in the wooded areas enjoying the wilderness. Snakes such as python are most common here. A variety of turtles including three striped roof turtle, red crowned roof turtle, Indian softshell turtle etc can be found here. The park houses and welcomes as many as 200 avian species flying around in all their glory! 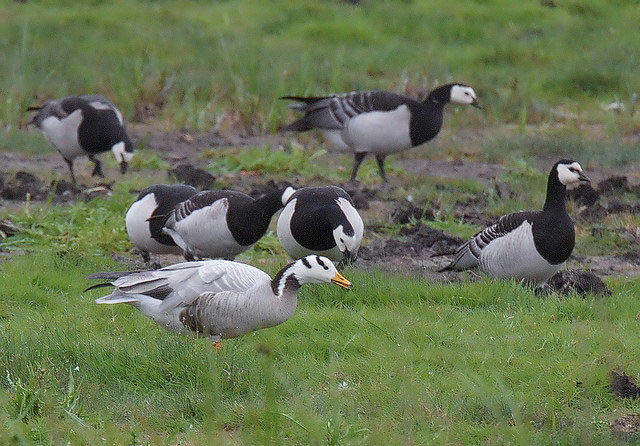 Bearheaded goose, white necked stork, king vulture, blossom headed parakeet and many more other magnificent species can be found decorating Panna’s skies. Nestled amidst the Vindhyan ranges, the Panna National Park is covered in a heterogeneous mixture of teak forests, dry mixed forests and sry deciduous forests interspersed with grasslands. Riverines, open grasslands, open woodlands with tall grasses etc also cover areas of the park. • By Rail: Nearest railway stations include: Jhansi (180 km) for those coming from Delhi, Mumbai and Chennai ,Satna (90 km) for those coming from Delhi, Kolkata and Varanasi and Katni (150 km) for those coming from Mumbai, Chennai and Nagpur. • By Road: No arrangements are made available by the Reserve. However, private cars are available for hire or personal vehicles are allowed. Four wheel driven petrol run vehicle is preferred for going around the reserve. Upto 5 year old diesel run cars, station wagons or mini buses are allowed to enter. The ancient example of architectural brilliance i.e., the Khajuraho temple lying 25 km away from Panna is worth a visit. A total of 25 temples can be found in this complex. A number of options including hotels and resorts are available for accommodation. Tourist huts managed by the reserve are available at Madla and Hinnauta on first-come-first-serve basis. Reservations are handled by the field director. Panna, M.P. 488 001 India. Where the entry of auto rickshaws is permitted by the officer-in-charge of the protected area, its entry fee shall be double the entry fee of a two wheeler. In a minibus, a fee of Rs. 100/- (Indian citizen) and Rs 500/- (foreign citizen) per person shall be payable for each of the additional visitors exceeding 20, though the total number of persons shall not be permitted to exceed the total seating capacity of the vehicle in any case.